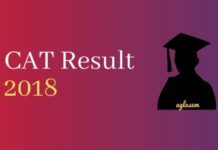 CAT 2018 Analysis – The IIM Calcutta has conducted the CAT 2018 on November 25, 2018. The students must be checking for the exam analysis for CAT 2018. Here at Aglasem, we have provided the complete analysis for the Common Admission Test for both the sessions. Through the CAT 2018 Analysis, you can identify the difficulty level of each session and subject as well, then identify the good score and what are your chances of qualifying the entrance examination. CAT 2018 Exam Analysis comprises the difficulty level of each topic, the number of questions asked from each subject, good score in each section, etc. You can check all these details about the CAT exam analysis for Slot 1 and Slot 2 from this page. Quant section of slot 2 is lengthy and VARC section is quite tougher than slot 1. CAT 2018 Analysis Slot 2 is now available. Check it below. The CAT 2018 Analysis Slot 1 is now available. Check it below. IIM Calcutta has conducted the Common Admission Test (CAT) 2018 on 25 November 2018 in two shifts, after which, CAT 2018 Analysis has now been published. The analysis for each slot is available and contain detailed break down on questions, cut off, and explanations. 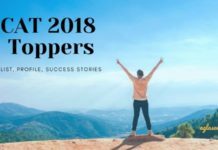 CAT 2018 Students Analysis – New! For Slot 2 – The CAT 2018 exam for Slot 2 is now over. The candidates can check the student’s reaction and review for CAT 2018 Slot 2 from below. The exam pattern for CAT 2018 was similar as last year for both Slot 1 and Slot 2. DILR was of the Difficult level. The overall difficulty level of Slot 2 in comparison to last year was a bit difficult. The overall raw score for CAT 2018 is expected to be about 150 to 155. No technical glitches were reported at the test center. Quantitative Ability section did not threw any major surprise in the CAT 2018 exam. It was of MODERATE difficulty level. Many students found some question from the QA section tricky. Major questions were from Arithmetic. Verbal Ability and Reading Comprehension section of the EASY level. The maximum number of questions were asked from para jumble, odd one out and para summary. Data Interpretation and Logical Reasoning section was comparatively easy in comparison to the last yera. Hence it can be said that it was of MODERATE – DIFFICULT. This year, there were no question of arrangements in the Logical Reasoning section. Permutation and Combination questions from the QA section was a bit difficult, Logarithms was easy, there were no questions from the Arithmetic Progression. There were about 2-3 number of questions from the Probability topic, which is less in comparison to last year. VARC had a total of 7 number of MCQ questions. There were 04 question from the para jumbled section. 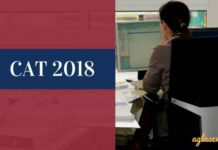 Analysis of CAT 2018 Slot 1 is now available. As said earlier, coaching institutes such as TIME, Career Launcher, Byjus and many more also releases the exam analysis for Slot 1 and Slot 2. The CAT 2018 exam analysis by these coaching institutes not only provides you with a comprehensive analysis of the exam but it is further divided for each section and each slot. The coaching institutes published the CAT 2018 Analysis an hour or two later after the exam is over. Here, the candidates can check also the CAT Exam Analysis by TIME, Career Launcher, etc. One of the most well-known coaching institute for CAT, Career Launcher has published the CAT 2018 exam analysis for Slot 1. Check it below. There was only one change, and that was in the VARC section. There where 4 passages had 5 questions each and 1 passage had 4 questions. The overall difficulty of the CAT 2018 exam was higher in comparison to last year. DILR was easier than last year with sets that took less time to solve. Expected Cut off by Carrer Launcher for CAT 2018 Slot 1: On the basis of the analysis above, it is expected that to get a 99%ile one will have to obtain a score of 50 or lower. An overall raw score of around 155 should fetch a 99%ile in CAT 2018. 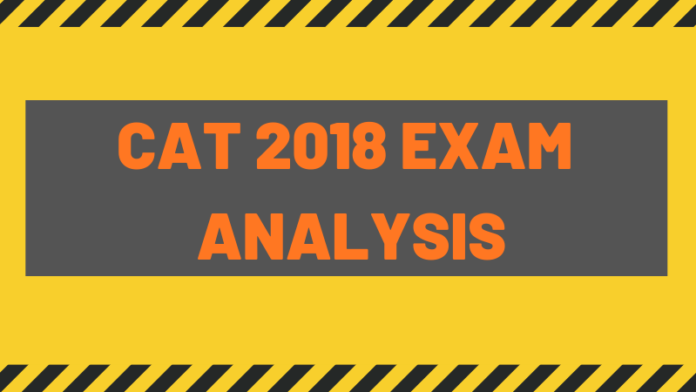 In this section, we will provide you the General Analysis for CAT 2018 exam. Hence, keep visiting this page to check the CAT 2018 general analysis. There is three section in the CAT exam – Verbal Ability and Reading Comprehension; Data Interpretation and Logical Reasoning; Quantitative Ability. Earlier, the questions from VARC section used to be differentiated, but now the questions from Verbal Ability and Reading Comprehension are jumbled up. The VARC section is comparatively easy from the other sections. Many students have also commented that if compared in VA and RC, the later is a bit time-consuming for the students. The next section, which is DILR is said to be of much higher difficulty level amongst all the three sections. The Quantitative Ability section is of Moderate difficulty level. Non-engineers do find it one of the other tough section in the CAT exam but if a candidate is well prepared then s/he can score good marks in this section. CAT 2018 is going to be conducted in two shifts. Shift 1 is from 09:00 AM to 12:00 PM and Shift 2 is from 02:30 PM till 05:30 PM. One exam analysis will be available soon after the Shift 1 is over, the other exam analysis will be published after Shift 2 is over. There are various coaching institutes such as T.I.M.E, Career Launcher, etc which also releases the exam analysis. On the basis of CAT 2018 Analysis, an expected cut off can also be predicted. Before we proceed to take a look at the exam analysis of CAT exam, let us first revise the exam pattern and marking scheme. In the table below, the candidates can check the past 05-year analysis for CAT exam. Below, the candidates can check the detailed exam analysis for the CAT exam year 2017, 2016 and 2015. Going through this, you can actually estimate what could be the difficulty level for CAT 2018 exam. As per the reports, CAT exam held in the year 2017 was of MODERATE difficulty level. There were no such surprises in the paper format or the exam pattern. If the analysis of the CAT exam year of 2017 is to be explained it can be as follows: tough LRDI section —> doable QA section —-> VARC sections. The level of difficulty was broadly similar across both the slots. However, many students commented that the questions from LRDI in the 2nd slot were easy in comparison to the 1st slot. As CAT exam is known to throw surprises to the students, the exam held in the year 2016 did not disappoint them at all. there were quite a few doable questions across sections for the year 2016. The number of tough questions were significantly more in numbers. There were many tricky questions and the added possibility of silly mistakes, the cutoffs were a bit high. The CAT exam held in the year 2015 underwent few changes. The surprise in this year, was the ‘high’ number of Non MCQs across the three sections. The difficulty of the paper, across sections was largely similar in both the slots. It was observed that the QA section was relatively much easier compared to the other two, followed by VARC, which was of moderate to difficult level. DILR was the section that troubled many this time with an unexpectedly high level of difficulty across multiple sets, which was true to both the slots. What to Expect for CAT 2018 on the basis of past 3 years analysis? Since the exam pattern for CAT 2018 is same as last year, it can be expected that the difficulty level of the test shall be increased this year. The DILR section of 2016 was the toughest ever, therefore one can expect the same level or a marginal drop in this section. The sections QA, VARC were reasonably good int he past 3 years, hence there are high chances that the level of difficulty for these questions may rise. With the predicted rise in the level of difficulty, one can expect a score of 140-145 to lead to a 99+ percentile. The test taker must have a clear idea about the number of questions they must attempt to get 99+ percentile. The Cut Off for CAT 2018 has been announced by some IIMs, for example, IIM Ahmedabad has published the minimum cut off for CAT 2018. The cut off for CAT 2018 will be prepared considering various factors in mind such as the number of candidates appeared for the test, difficulty level of the test, etc. Other than IIMs, management colleges such as FMS, SPJIMR and more have also announced the cut off for CAT 2018. Check the CAT 2018 Cut Off from the table below. If you have any questions regarding the CAT 2018 Exam Analysis, then let us know in the comment section below.